Transport Minister Nitin Gadkari on Saturday said India is a rich nation with a poor population as those who ruled the country earlier benefited their own families. "BJP is not one family's party. It is not a party which does politics on basis of caste, religion, language. Atal Bihari Vajpayee Ji was our tallest leader, but BJP was never identified with his or LK Advani Ji's name... Today there is Prime Minister Narendra Modi Ji and Amit Shah Ji. Leadership has kept changing, but this party has never run on any particular person's name. 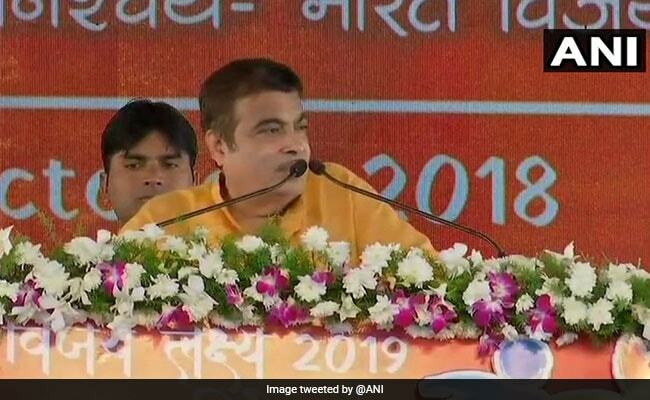 This party functions on the basis of thoughts and principles," Mr Gadkari said while addressing the Bharatiya Janata Yuva Morcha in Hyderabad. "Prime Minister gave birth to a Prime Minister, Chief Minister gave birth to a Chief Minister and so on... Democracy was close to being non-existent. We have changed this," he added. Mr Gadkari further said development of sectors like agriculture, industry, and services are key essentials for any nation to progress.